Father Felix Raj visited the city of Luxembourg for three days from May 5th to 8th. Fr. 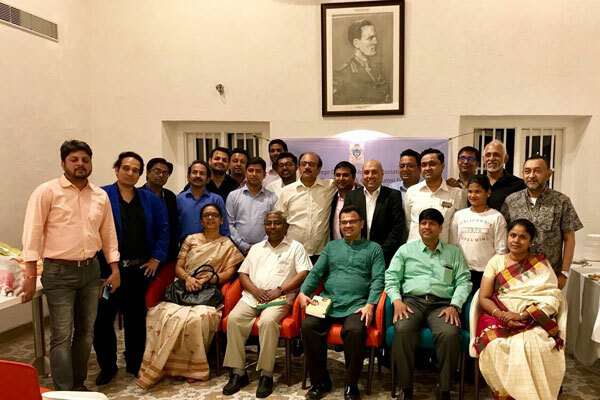 Raj met the Xaverians at Luxembourg on 5th evening and discussed with them the vision 2020 and the new developments at St. Xavier's College and University. This is his second visit seeking opportunities for international exchange programmes with the University of Luxembourg. He visited the University and had talks with Stephanie Schott, Team leader, international Relations. 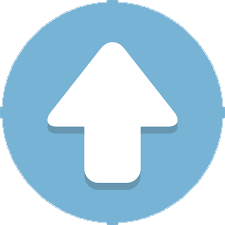 Both universities plan to have student, faculty and research exchange programmes. They will sign an MoU in the near future. Fr. Raj met the Archbishop of Luxembourg, Most Rev. Jean- Claude Hollerich, SJ and participated in the celebrations of the feast of our Lady of Luxembourg on May 6, which included a solemn Eucharist and a procession of the faithful. He expressed great appreciation to Christian Descoups, secretary general for the excellent organisation of the feast. Father also met Mr. Augustine Kochuparampil, a Xavierian who is a CEO at the ArcellorMittal Europe. Father Raj visited the three veteran Calcutta Jesuits - Frs Albert Huart, Hincq and Jean Englbert at the Maison Saint Claude La Colombiere, the Jesuit infirmary in Bruxelles and shared with them the status of Calcutta Jesuits and their works. Fr. Raj paid a visit to Mr. Lakshmi Mittal's centre and was received by Vijay Goyal, a Xaverian and a CEO at the ArcellorMittals who briefed Father about the new developments at the ArcelorMittal which includes a plan for a new global office complex in Luxembourg. Mr. LN Mittal is a Xaverian who passed out from St. Xavier's in 1969. He has generously extended his support to the making of St. Xavier's University, Kolkata. 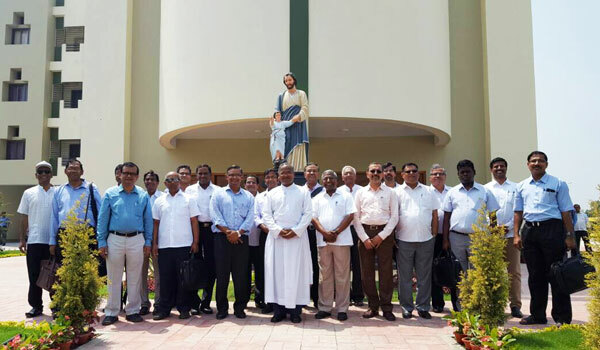 The Bangalore Chapter of the St. Xavier's Kolkata Alumni arranged a meeting on the occasion of Fr. Felix Raj's visit to Bangalore on April 4 evening at the Bangalore Club. The alumni felicitated Father for being the first VC of the St. Xavier's University. Father addressed the gathering on Vision 2020, the University project and its extension to 2025. 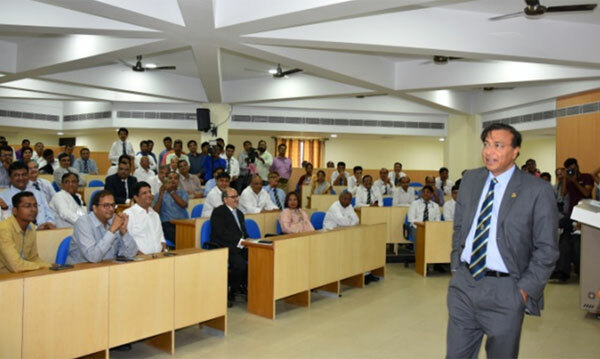 He thanked the alumni for their efforts and loyalty to their alma mater and invited them to actively participate in the vision. Fr. Victor Lobo, Principal of St. Joseph's College, Bangalore blessed the gathering with his presence. Tony Francis' recent book, The Autographer, was introduced by the author himself through an interview by Hunaid Topiwalla. The book has St. Xavier's Kolkata as its background right from its initial days and makes an interesting reading. Thanks to Rudra, Hunaid and Neil Blazey for coordinating the meet. Mr. Mittal articulated his experiences as a student of St. Xavier's College and the lesson of decision making he learnt from his Alma Mater. 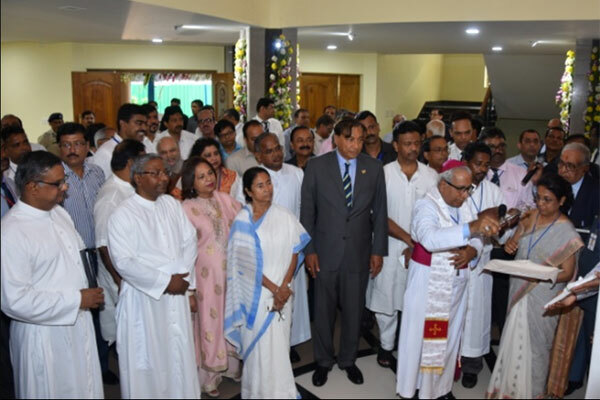 He has since secured emotional and moral assurance on numerous occasions of his business career from the values St. Xavier's inculcated in him. 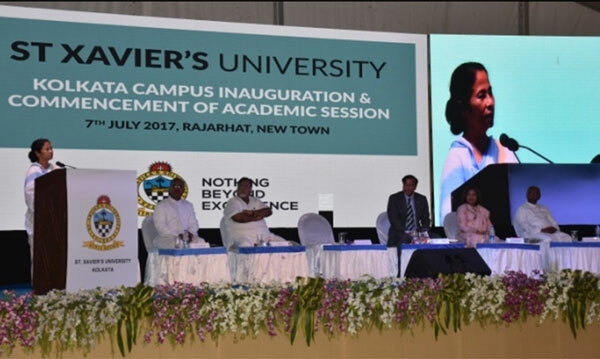 The Chief Minister congratulated the Jesuits for setting up yet another seat of higher learning of strong ethical and aesthetic virtues, she highlighted the contributions of St. Xavier's towards the academic, cultural and social endorsements of West Bengal. 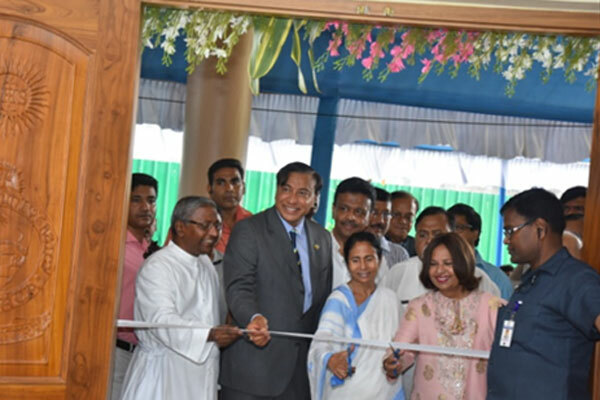 She expressed her firm belief that like Harvard and Oxford, St. Xavier's University Kolkata will soon be of global significance, thriving on the principles of faith and wisdom. 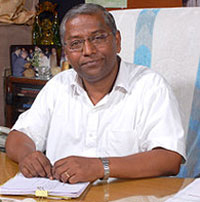 Father Jeyaraj Veluswamy, SJ, the chancellor of the university who appointed Fr. Felix Raj as VC, also appointed professor Ashis Mitra as registrar. The bill for setting up the university, which is operational from February 8, the date of notification, was unanimously passed by the Assembly on December 15. Governor K.N. Tripathi gave his consent to the bill on January 16. The Governing Board, which will include a state government nominee and a UGC representative, will meet for the first time on the University campus on April 28. 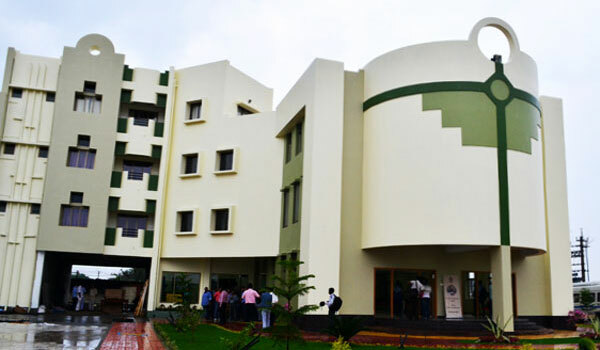 "St. Xavier's College, which gave birth to the University, kept its quality for 157 years and has become the number one college in India with 3.77 CGPA out of 4. The university will emulate that. It will in no way compromise on quality," Fr. Felix Raj told the press. The university will start its journey by offering the B.Com, BBA, M.Com, MA in English, Masters in social work and MA in journalism courses Firdausul Hasan, honorary secretary, St. Xavier's College Calcutta Alumni Association, said: "The university is the materialization of Father Felix Raj's visionary dreams. We are thankful to him for giving us the chance to play our part in Vision 2020 and do something for our alma mater."